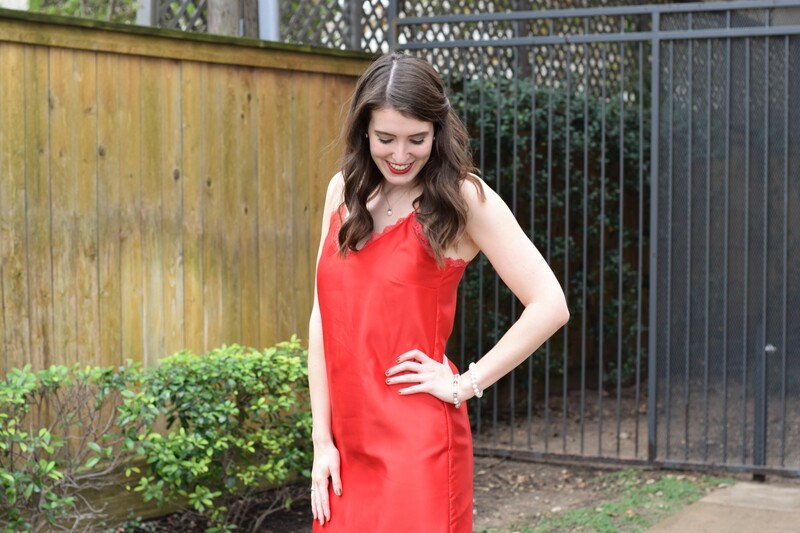 Everyone has their fair share of little black dresses, but at Christmas it feels more appropriate to pull out a little red dress, don’t you think? After falling in love with the ease and effortlessness of a slip dress I purchased over the summer, I was dying to make one for the Winter season. The silhouette is very simple, so getting a good fit is easy! I started with this matte satin from Fabric Wholesale Direct and then added on details like beautiful lace and cording for the straps to make it a truly special piece. 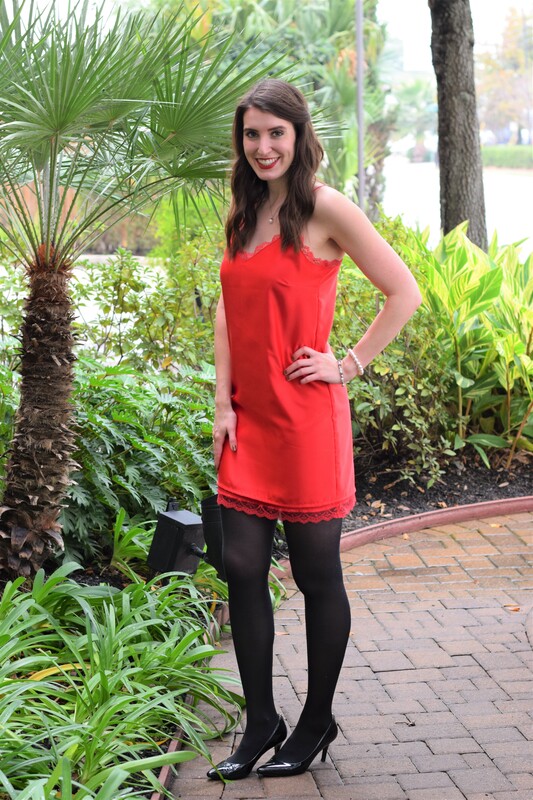 Paired with a sweater and some boots, or just as is if you live in Houston where we get surprise 80 degree Christmas’s all the time, this little red dress is the perfect outfit for Christmas Eve dinner, a holiday party, or even NYE! 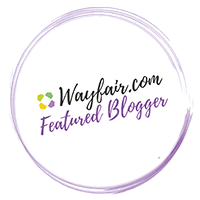 Head over to Fabric Wholesale Direct for the sewing tutorial!